disney Princess Lineart. Something cool that I came across and added as a favorito! to my pinterest page. It's like "if" the princesses were Mt. Rushmore National Memorial. haha. 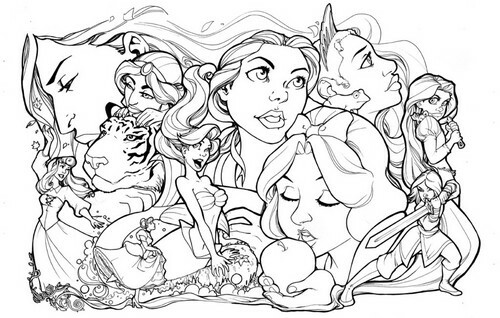 HD Wallpaper and background images in the princesas de disney club tagged: comfortloveg.deviantart.com.